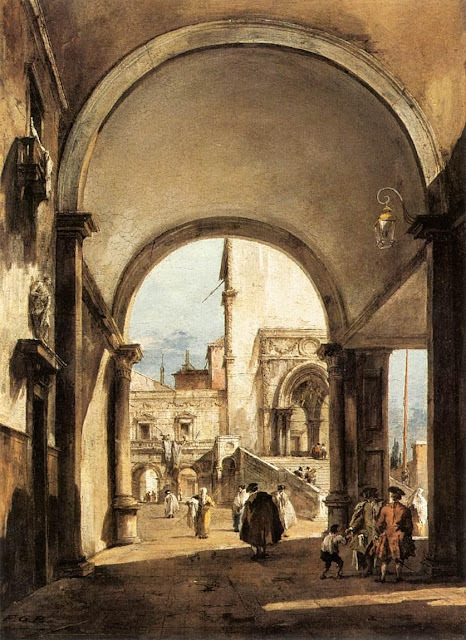 Infinite Art Tournament: The Infinite Art Tournament, Round One: Guardi v. Guercino! The Infinite Art Tournament, Round One: Guardi v. Guercino! I don't really know either, but quickly google makes me say Guercino. After Canaletto I can't get too excited about Guardi (though I think the works I saw last year were better than the two here) so I am voting for Guercino. 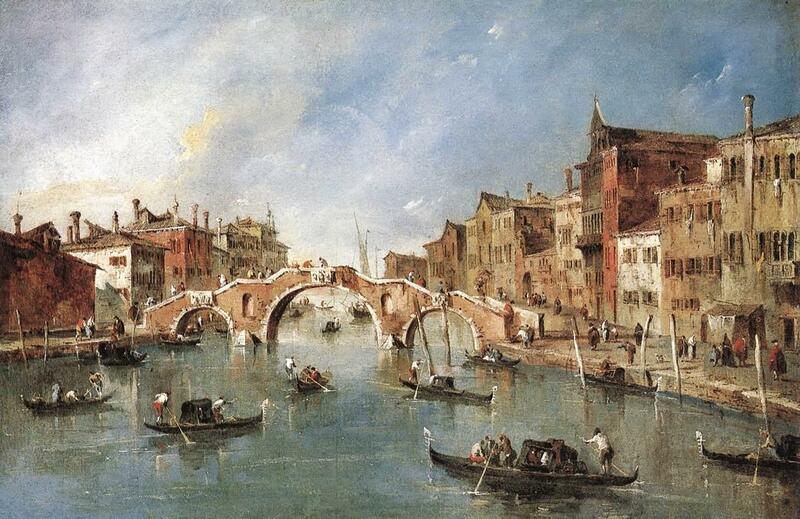 I'll go with Guardi on this one. I'm a sucker for skulls, but I also enjoy paintings of buildings and canals, enough so that I will vote for Guardi. Guardi gets my vote for the arches, but it was a close one. I do enjoy a good lovingly-rendered wrinkled forehead though. Got a vote-by-mail for Guardi right here. And here's my own vote for Guardi, too. I suspect Guercino might be a little more masterful, but by gum I just like the Guardi paintings better. 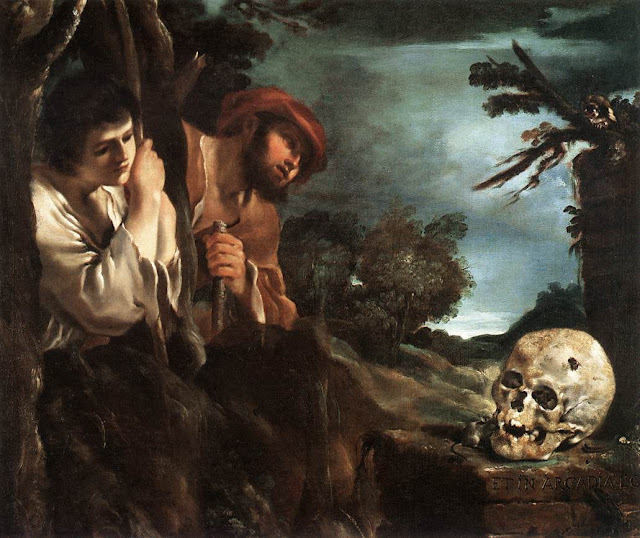 Oh, Guercino! 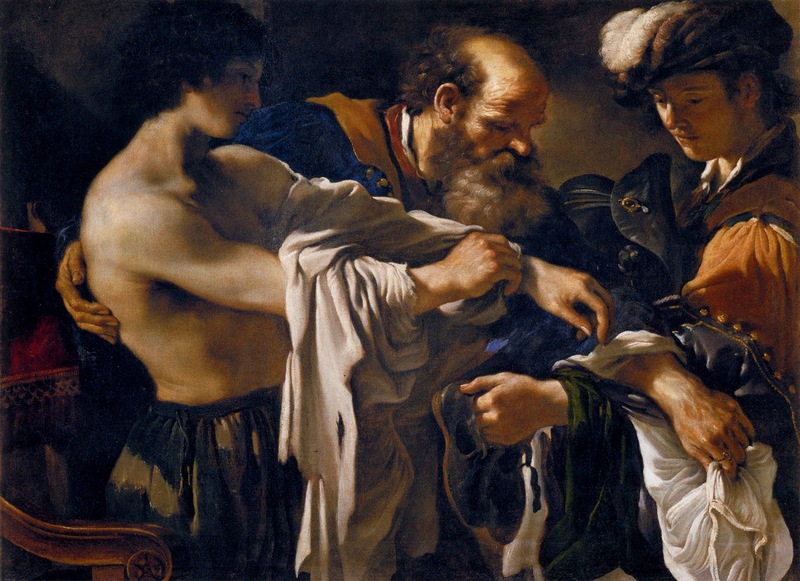 I actually only like one each of the paintings for each guy, but the top Guercino painting (which actually looks to me like it's painted by a different guy than the second Guercino painting) gets me more than the Guardis. Et in Arcardia, Guardi! The landscapes have it by an 8-5 margin, and Guercino will have to try to struggle back through the wilds of the Left Bracket.